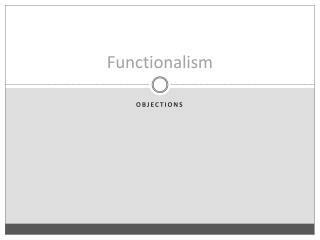 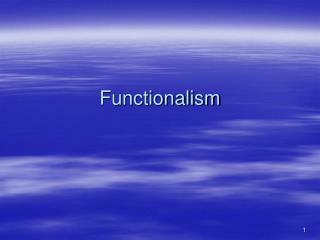 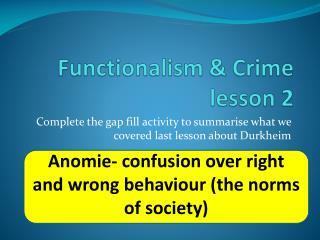 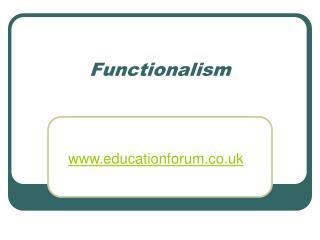 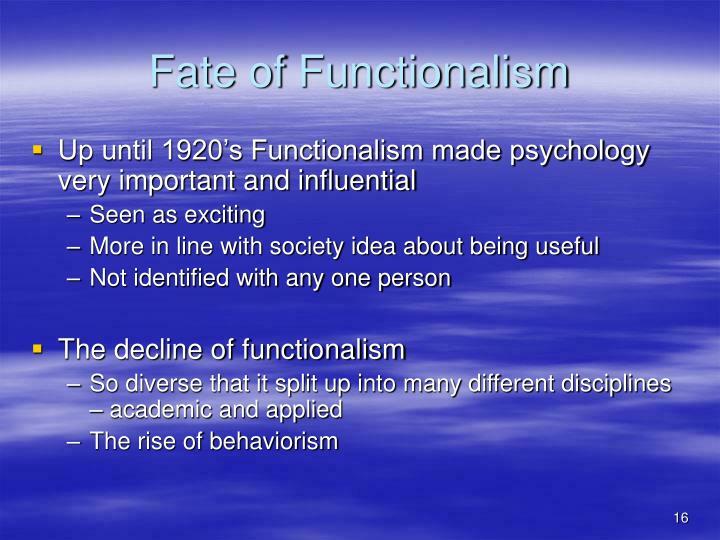 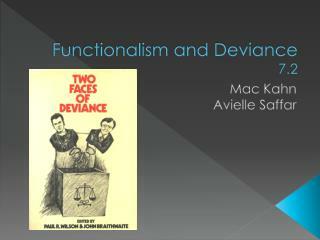 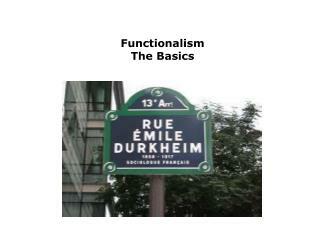 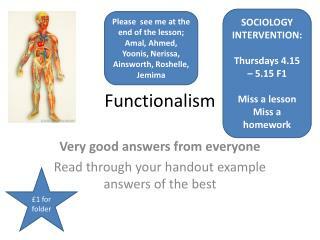 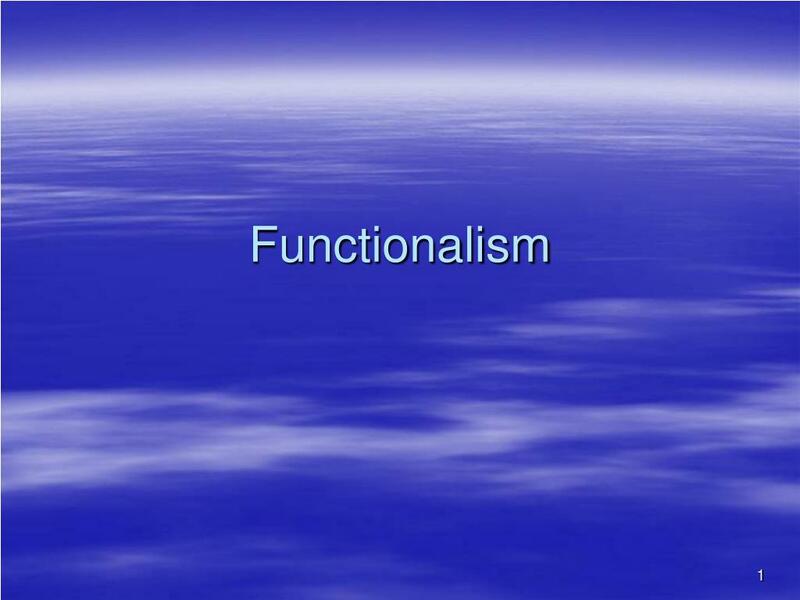 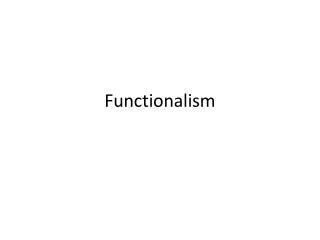 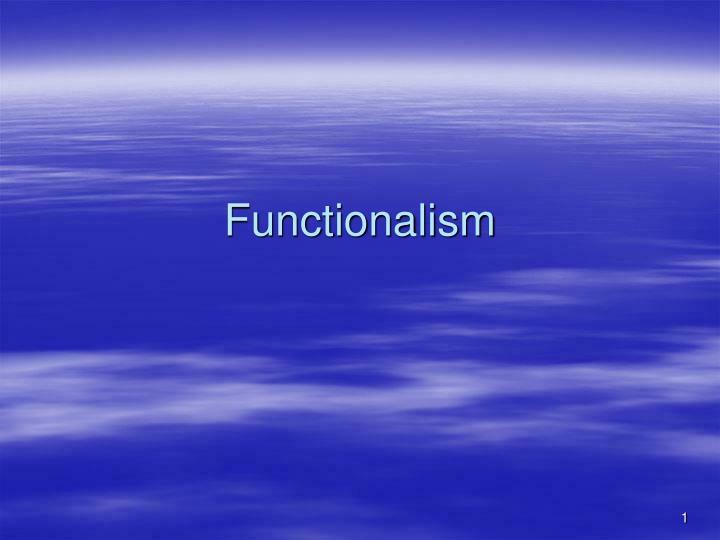 Functionalism . 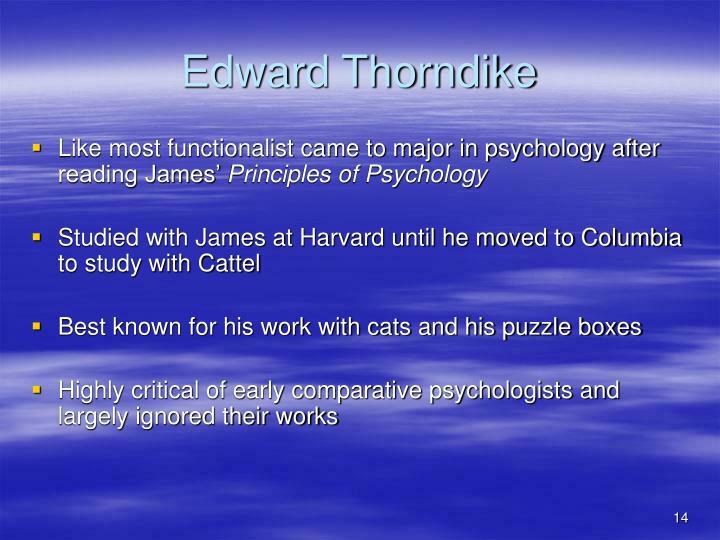 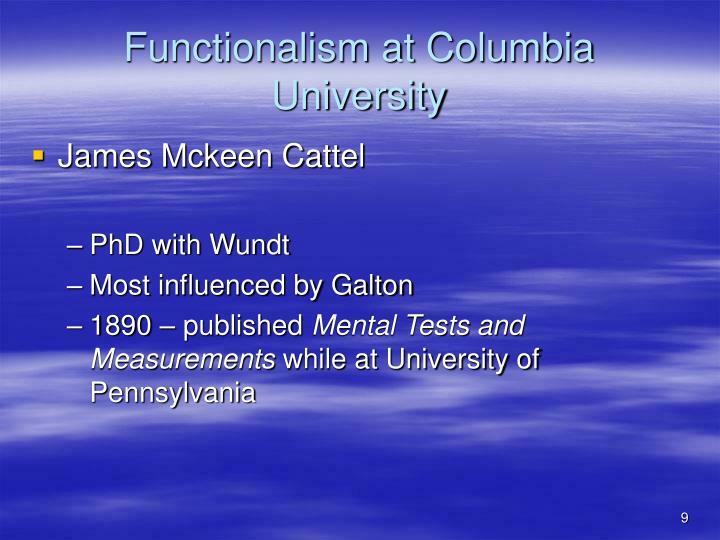 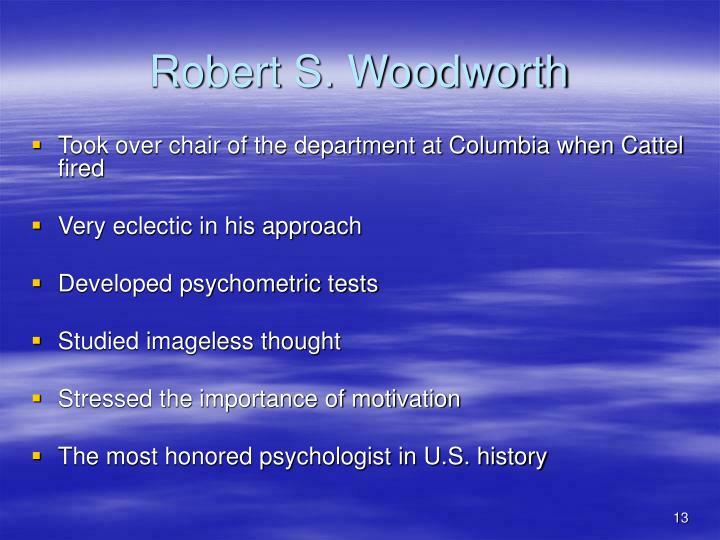 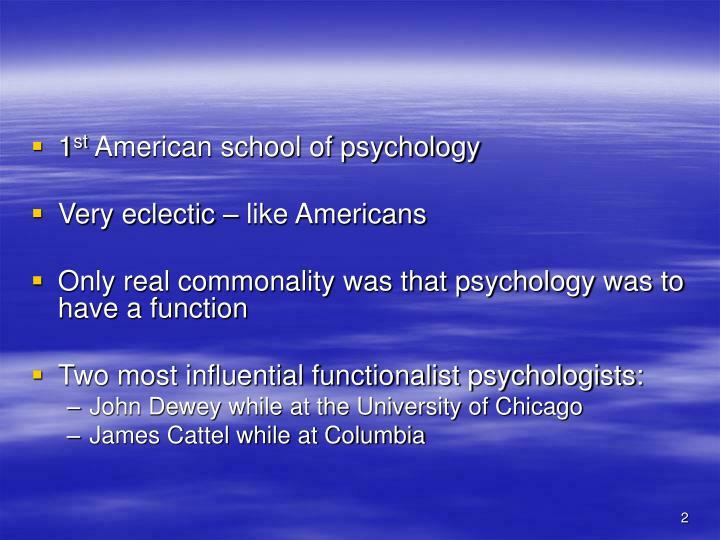 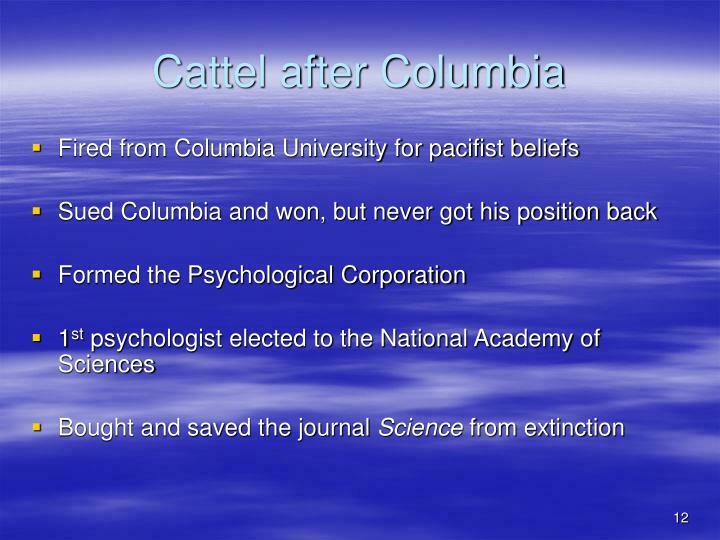 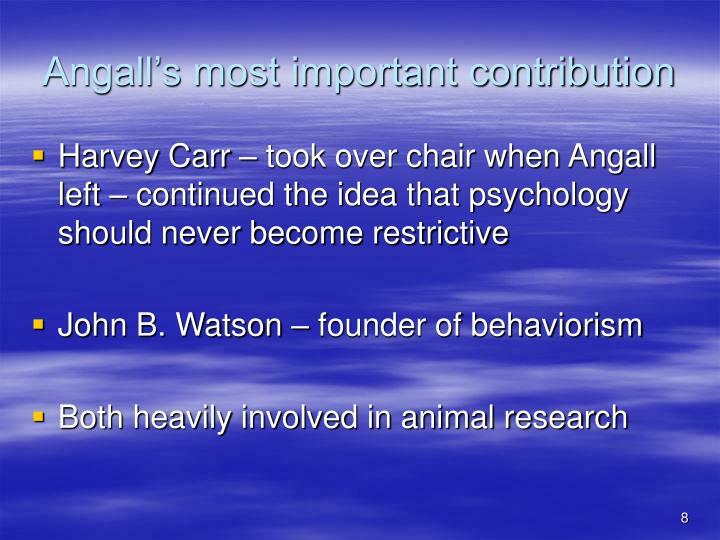 1 st American school of psychology Very eclectic – like Americans Only real commonality was that psychology was to have a function Two most influential functionalist psychologists: John Dewey while at the University of Chicago James Cattel while at Columbia. 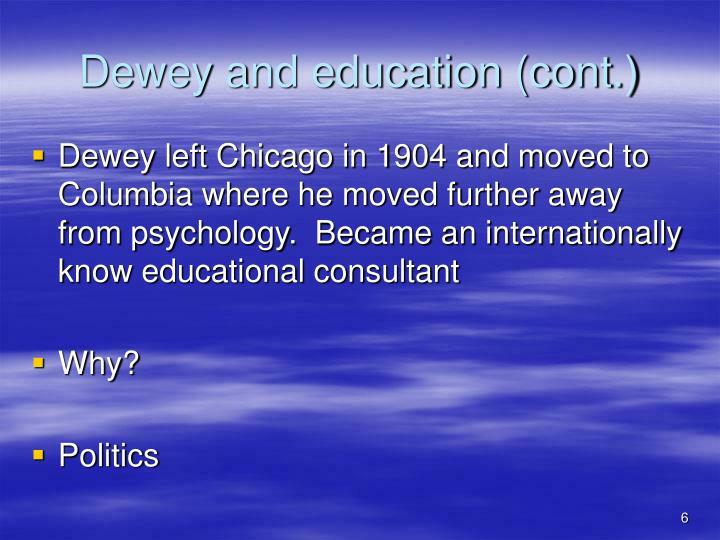 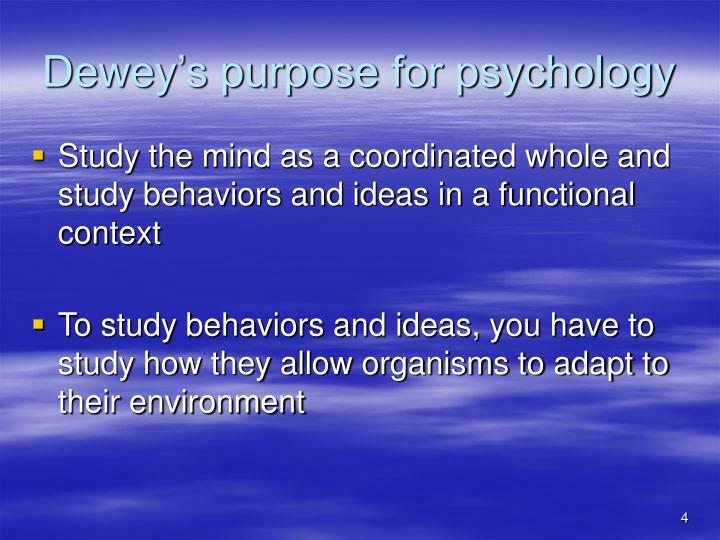 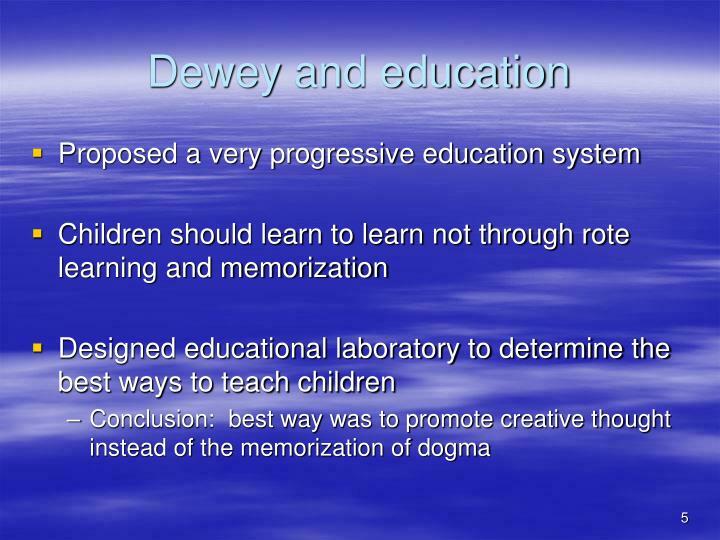 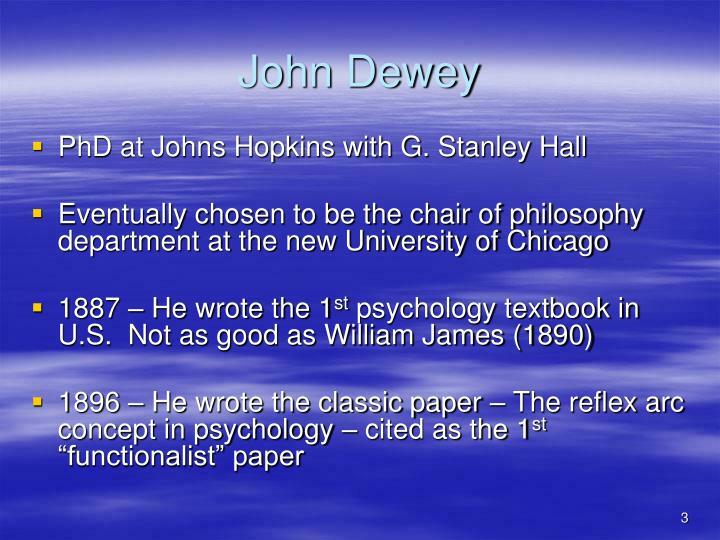 John Dewey. 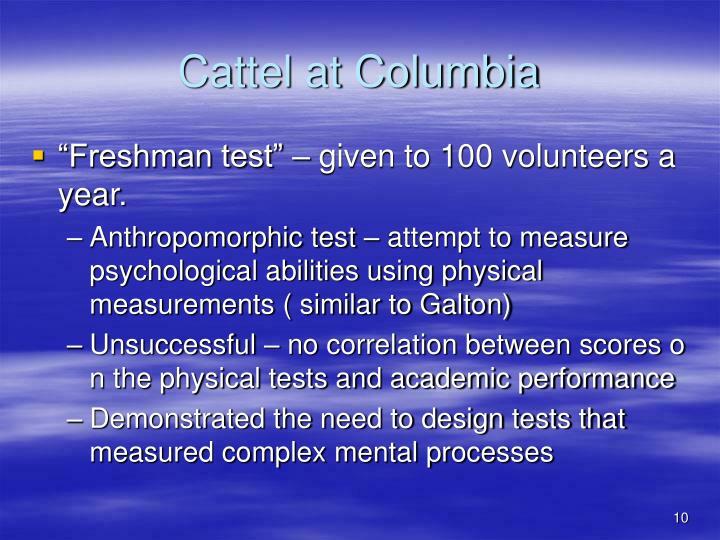 “Freshman test” – given to 100 volunteers a year. 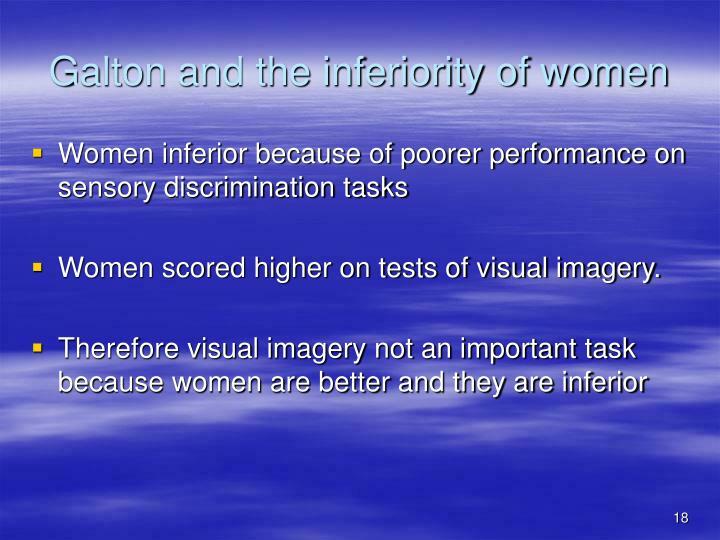 Women scored higher on tests of visual imagery. 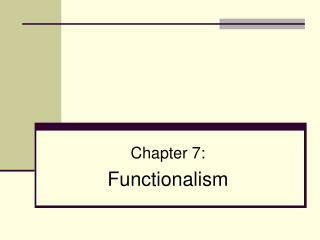 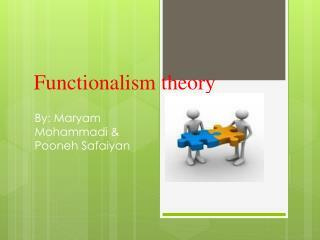 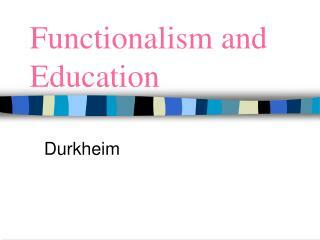 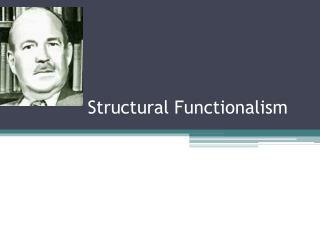 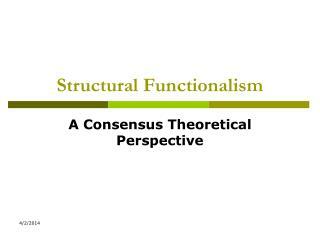 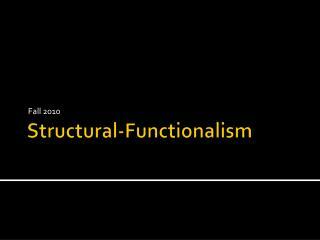 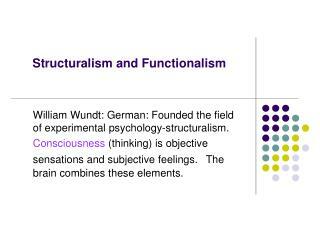 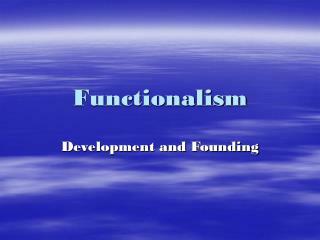 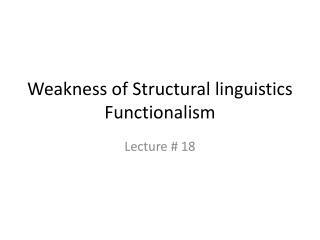 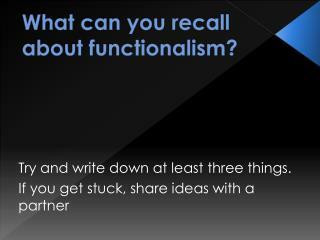 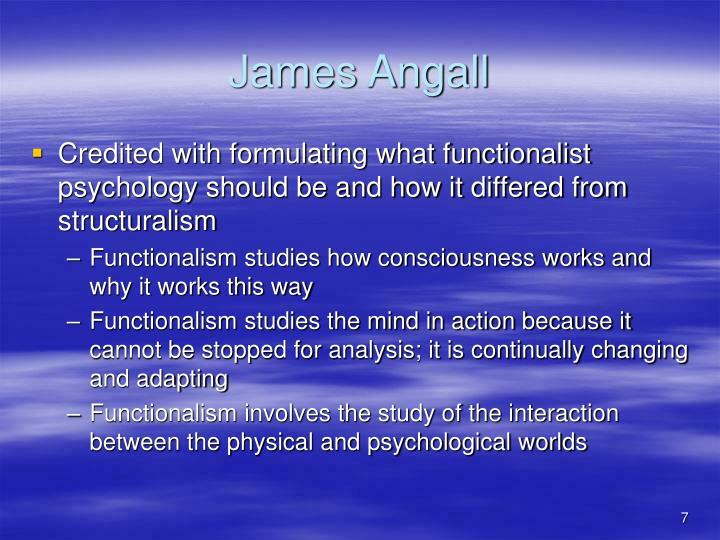 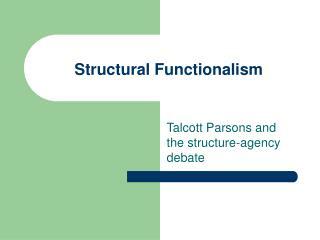 STRUCTURAL FUNCTIONALISM -. 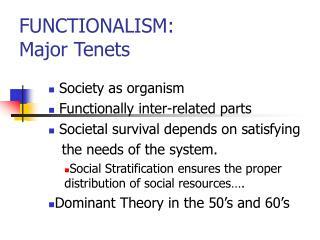 the dominant theoretical paradigm of the british school of social anthropology, 1930–1955. 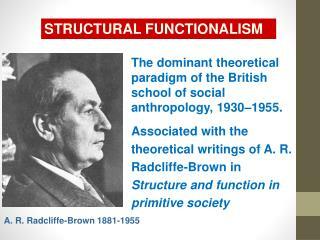 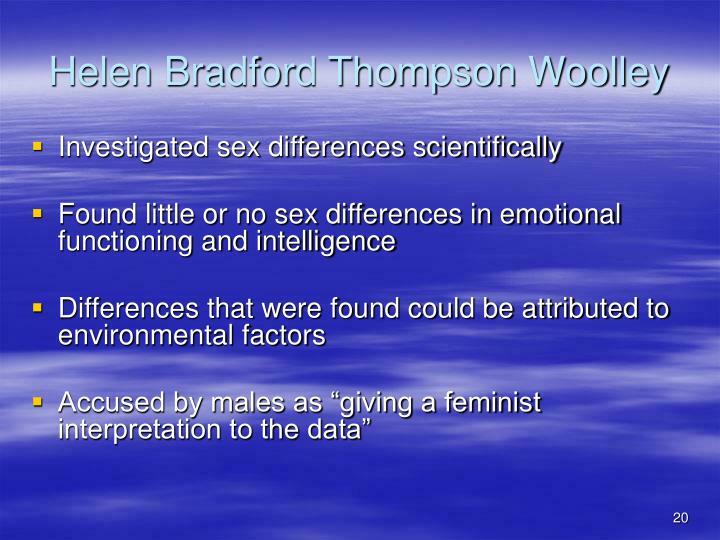 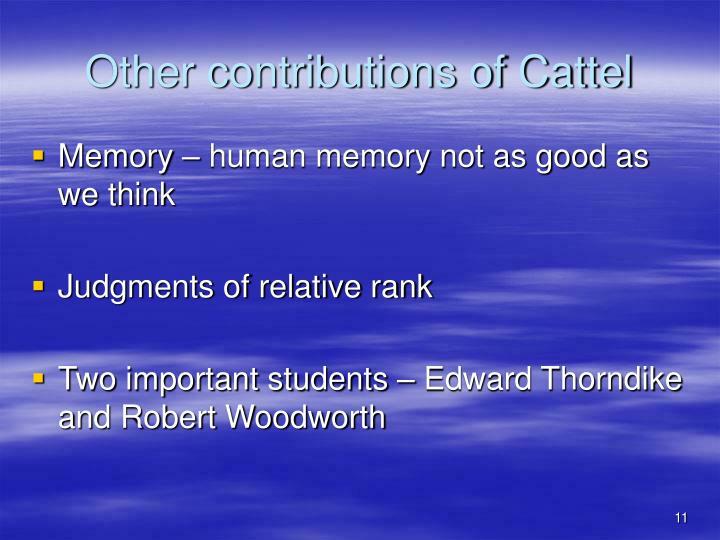 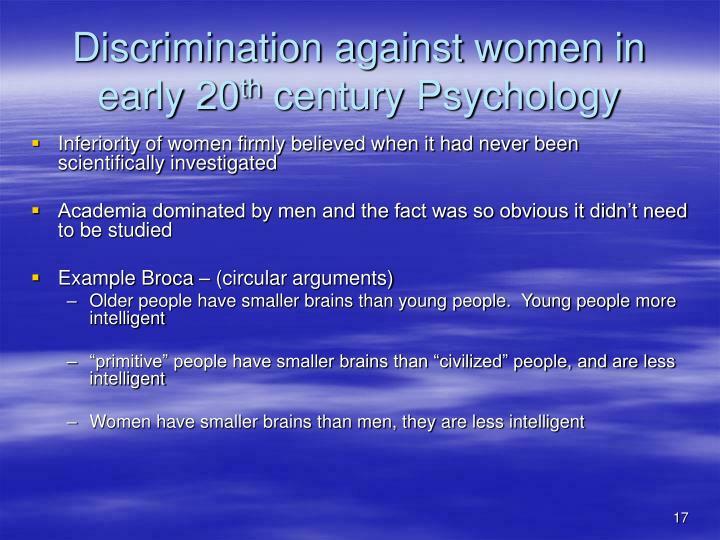 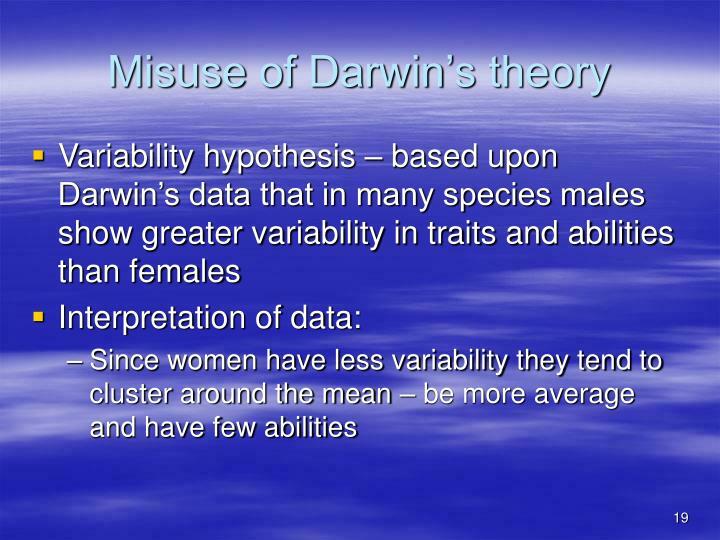 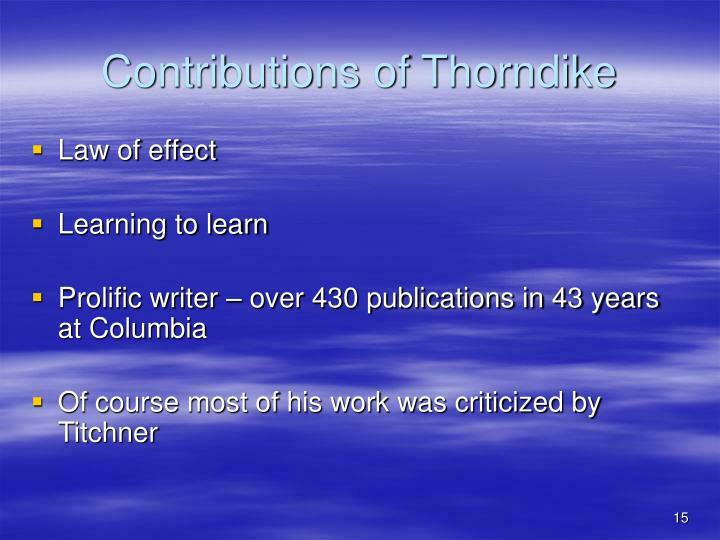 associated with the theoretical writings of a. r. radcliffe-brown in structure and function in primitive society. 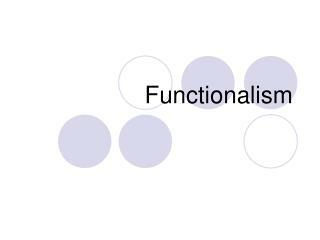 a. r.